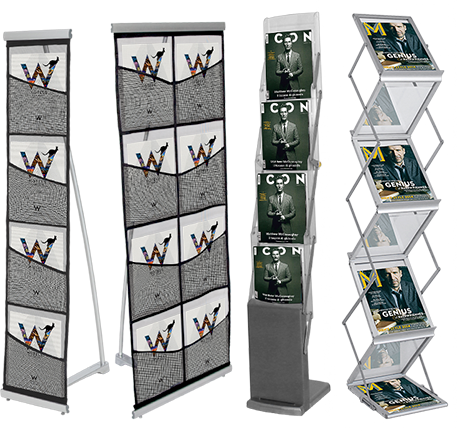 Show promotional flyers in a professional way with brochure stands & tablet displays. Choose from two product lines. 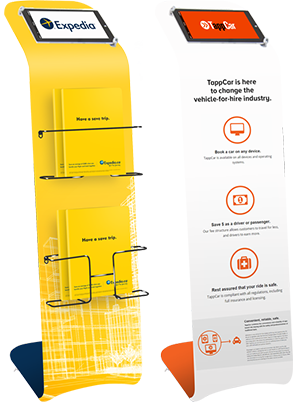 Brochure Stands are more portable with carrying cases and easily assemble in under a minute. These space-saving displays are commonly seen in lobbies or waiting rooms and are ideal for trade shows, allowing buyers to readily access product information.